Citrus Oil Update-Sicily - Ultra International B.V.Ultra International B.V. The headline from the Sicily citrus scene shows delayed production, brought about by unsuitable weather conditions. The net effect of this has been an abundance of small grades; indicating elevated prices, and slower fruit sales. The sentiment for bergamot is positive. Earlier, fruits were exclusively for processing, but now fruits are available for the fresh fruit market. This has led to prices spiralling to historic highs for bergamot oil. Lemon prices peaked in Italy at Euro 0.42/kg. Spain reported better yields with prices dipping around 3% to Euro 0.36/kg. Argentina remains dominant with a predicted bumper crop of 1.4 MMT. While Europe witnesses healthy exports, Argentina predicts higher exports to the USA; estimated to touch 250,000 MT. Overall, lemon prices are inflated by low availability and a robust fresh fruit market. Essential oil prices are unlikely to drop below Euro 38/kg. Insufficient rainfall has resulted in smaller calibre fruit for the Primofiore lemon harvest. Consequently, this year’s processing is constrained by a reduced quantity and higher processing costs, likely to lead to higher prices for customers. The new crop has already taken place with the production of the yellow and green mandarin oil. The crop is continuing with the production of the red mandarin oil. Prices are stable, as before. 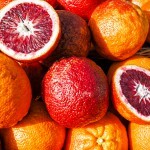 The outlook for blond and blood oranges is hopeful with expectations of the situation normalizing, following last year’s 30% crop reduction. The price of fruit for processing is around Euro 0.11/kg. Blond oranges are likely to hit the market in February. However, uncertainty hovers over the blood orange market. The summer heat has affected fruit size leading to two possible varied repercussions. If the fresh fruit market does not accept smaller fruit, past trends show that volumes will be nudged into processing. On the contrary, if the fresh fruit market does well, there might be a shortage for processing. Sellers are now promoting the fruit under the moniker of “baby” to encourage buying.